We've got another top-notch selection of tech news stories for you today, courtesy of our friends at TechRadar: read on for details on changes coming to Gmail and the Apple Watch, a new/old Sega console, plus the latest rumours on the new phones arriving during 2018. What has Nokia got planned next? Nokia has been churning out some very decent phones since the brand was rebooted by Finnish firm HMD Global, and there's a lot of anticipation around an upcoming flagship phone that we know as the Nokia X. The latest rumour around the handset points to a launch date of 27 April, when we should find out about everything the smartphone has to offer – if you're getting a phone soon, you might have another top contender to pick from. Speaking of upcoming handsets, we're expecting Lenovo to roll out a new batch of phones under the Moto banner in the very near future. Today it's the E5 and the E5 Plus in the spotlight, as a batch of new renders have leaked out on to the web: these look like a couple of smartly designed phones, even if the specs and performance won't be anything to trouble the flagships of 2018. An official unveiling is expected from Lenovo very soon. Ever since the Apple Watch first appeared in 2015, the only watch faces you've been able to set for it are the ones made by Apple itself, but that might be about to change – a bit of code written into the watchOS 4.3.1 beta makes reference to third-party watch faces. If Apple is indeed opening the gates to its walled garden for other watch face designs, expect to hear more about it at Apple's developer conference, which is scheduled for early June. Nintendo has enjoyed plenty of success with its rebooting of classic consoles for a modern age – in a smaller, cut-down form – and it appears Sega has been taking notes. 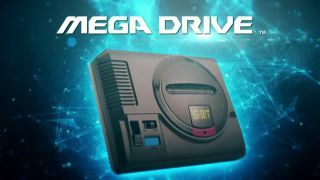 The gaming giant just announced that it's launching a Mega Drive Mini (or a Genesis Mini, if you're in the US) sometime this year, though we don't have much in the way of details yet. Sega is also taking suggestions for which games should be included on the new device. We haven't heard anything official as yet, but we've seen repeated rumours (and some leaked screenshots) that suggest Google is planning a visual revamp for Gmail in the not-too-distant future. Apparently, one of the new features arriving with the refresh is the option to set a time limit for emails that you don't want sticking around. Emails that need a passcode to open, plus the option to snooze emails until a later time, are also expected.